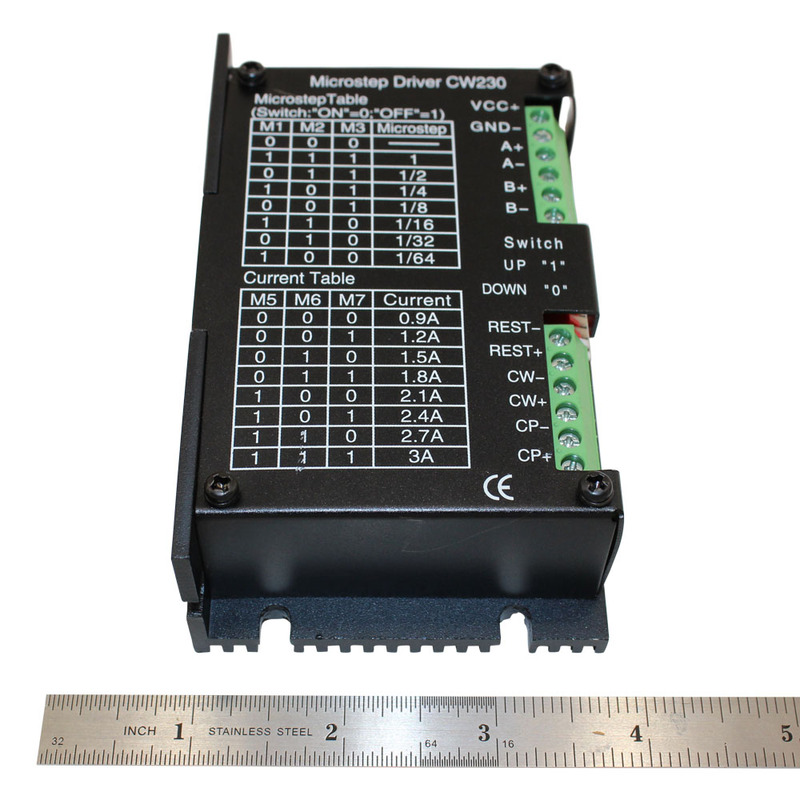 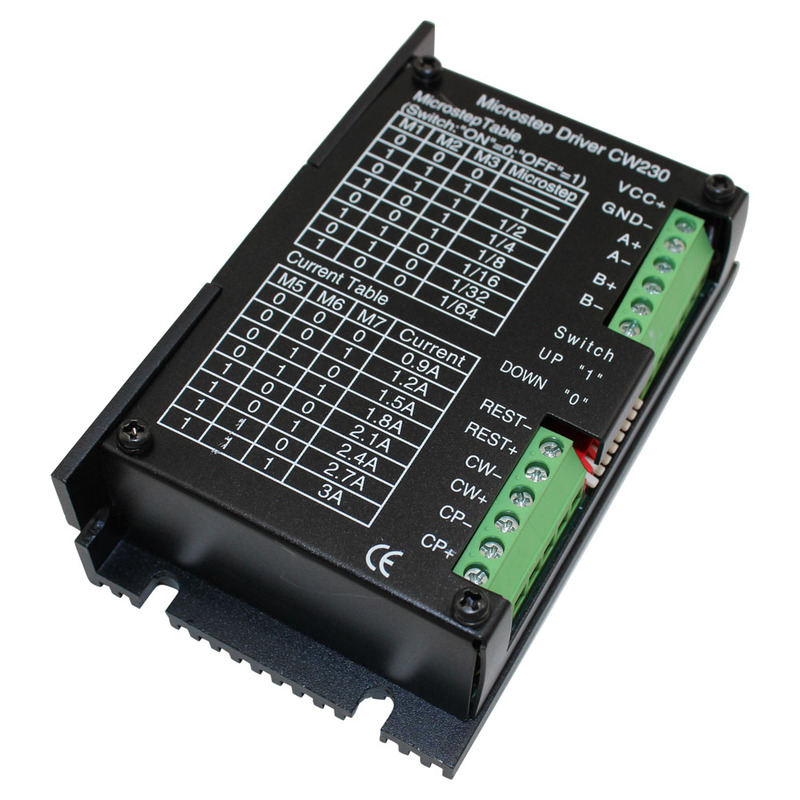 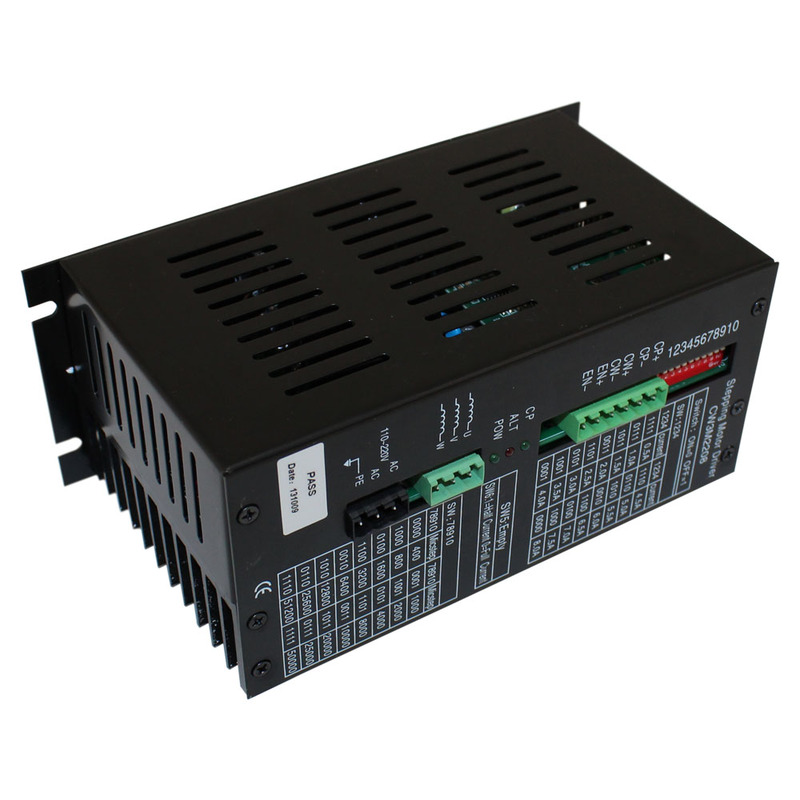 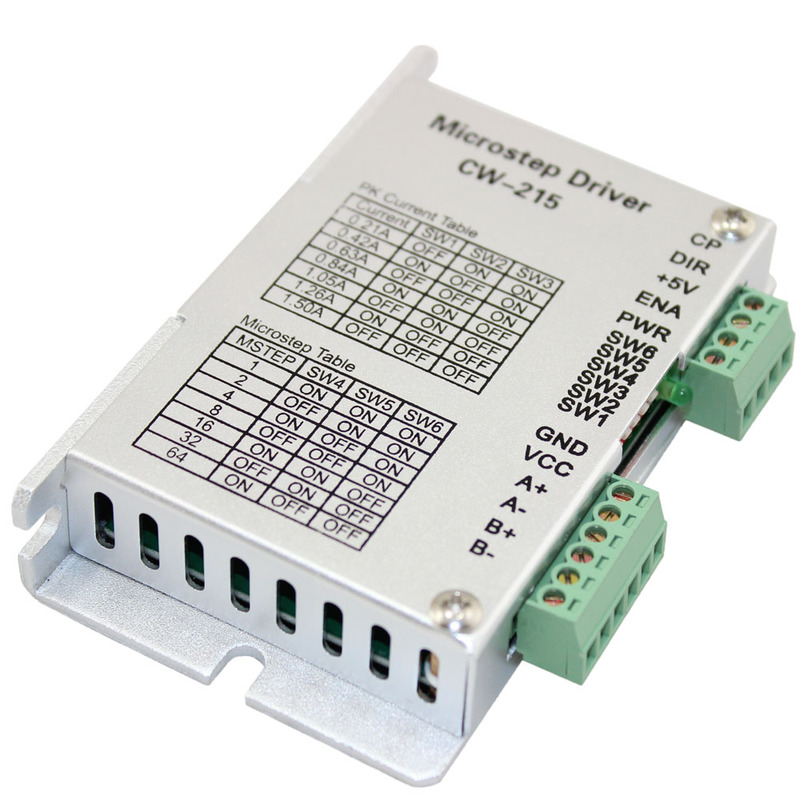 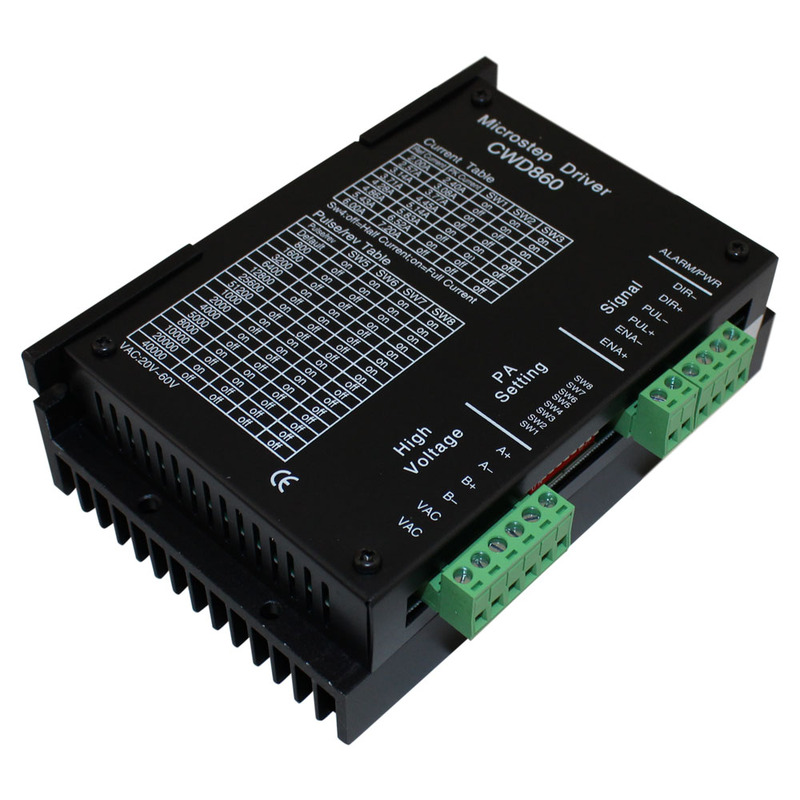 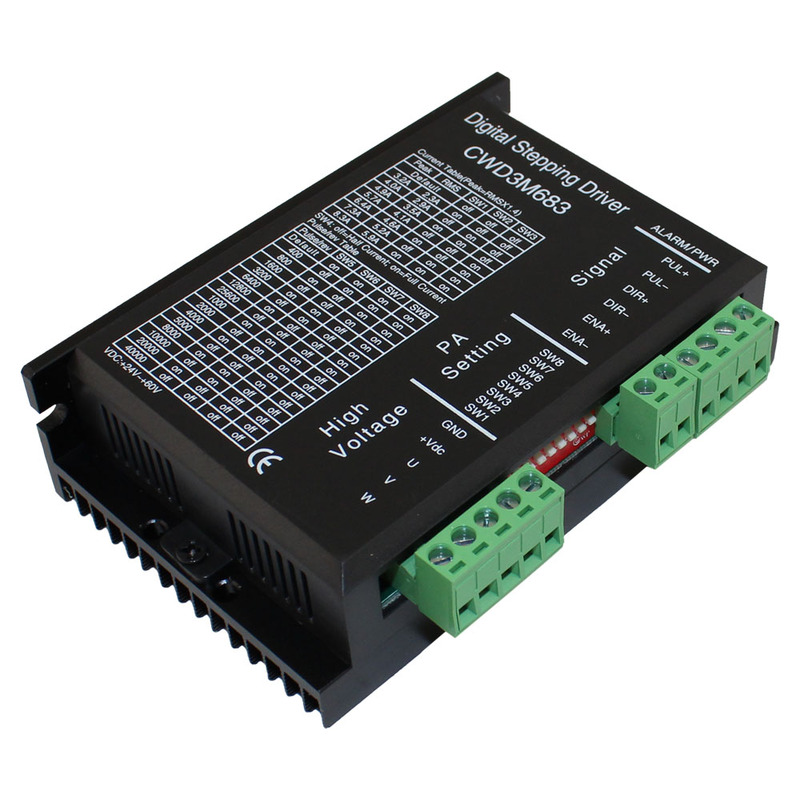 Great New Price on Our CW230 Motor Driver, Save $9.00! 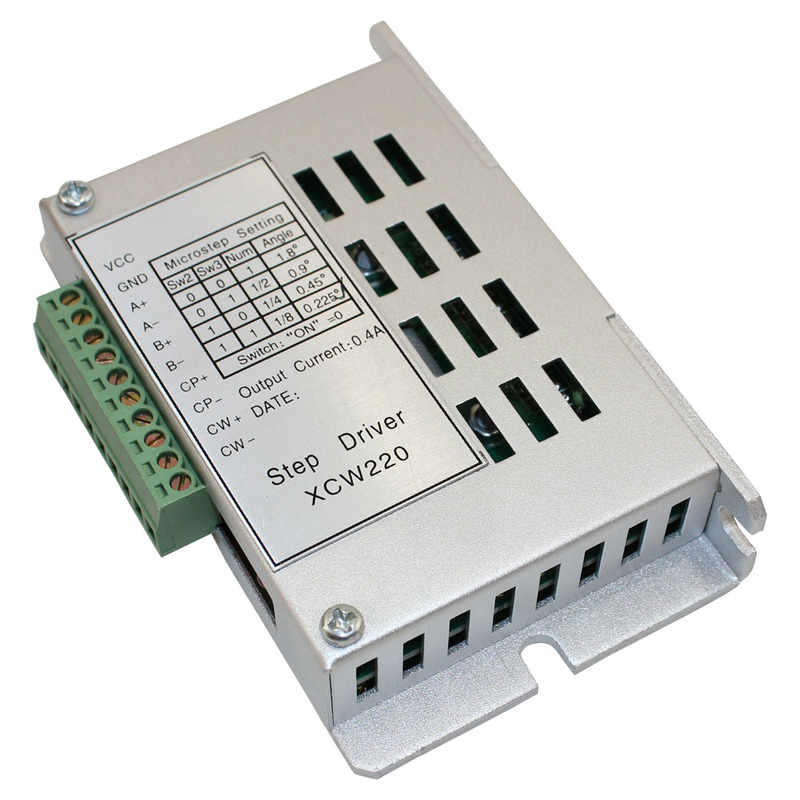 Our CW320 two-phase stepper motor driver can control both bipolar and unipolar motors and with its range of 24-36 volts and 0.9-3.0 amps of current, a wide range of speed and torque is available from any attached stepper motor. 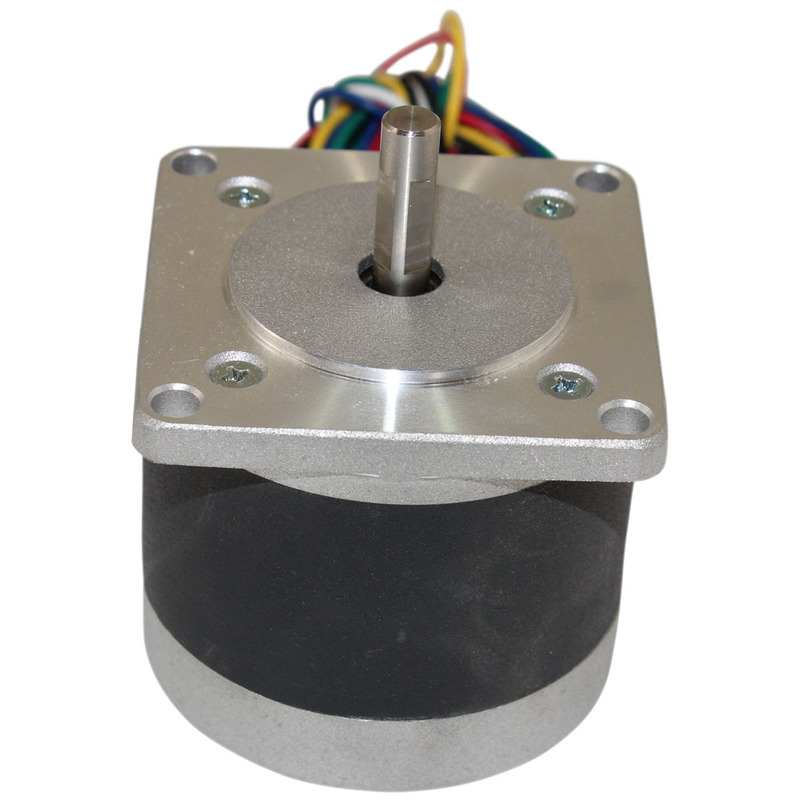 This motor driver circuit is typically capable of supplying enough voltage to operate a stepper motor rated at up to 3A many of which you can find on our main stepper motor page or in the suggested items at the bottom of this page. 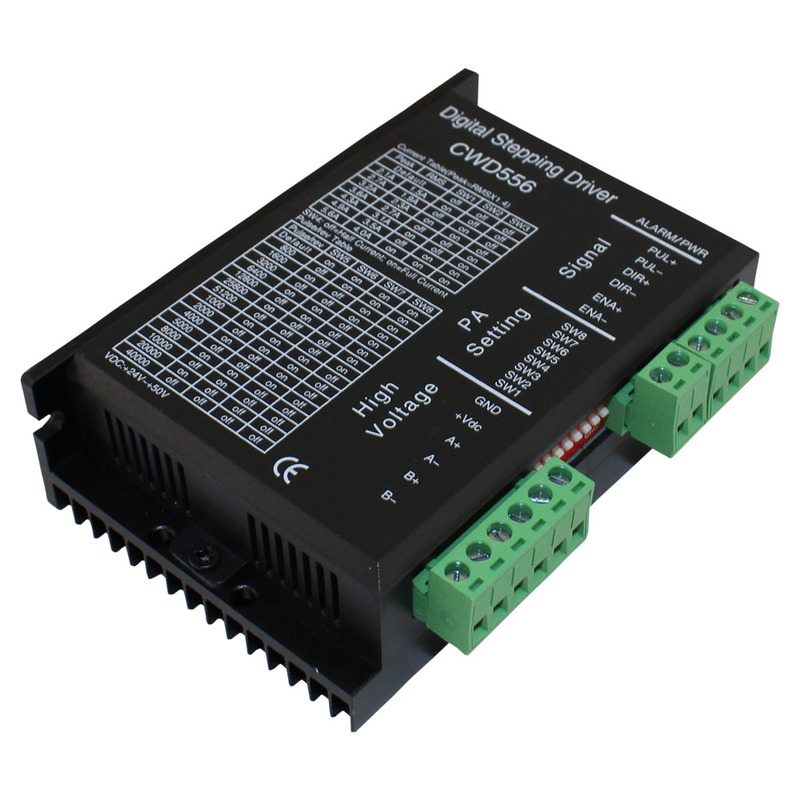 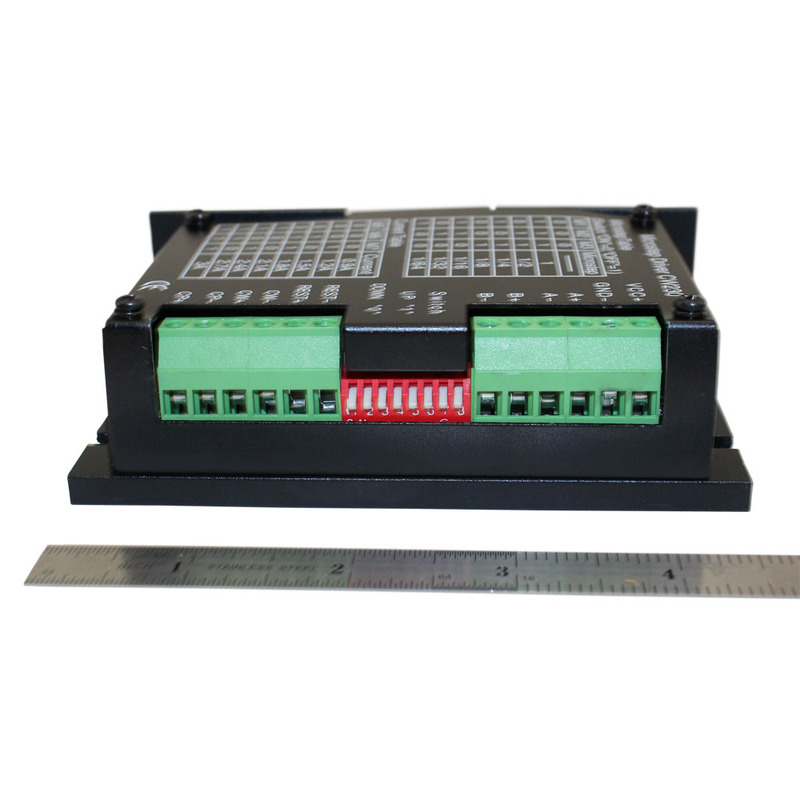 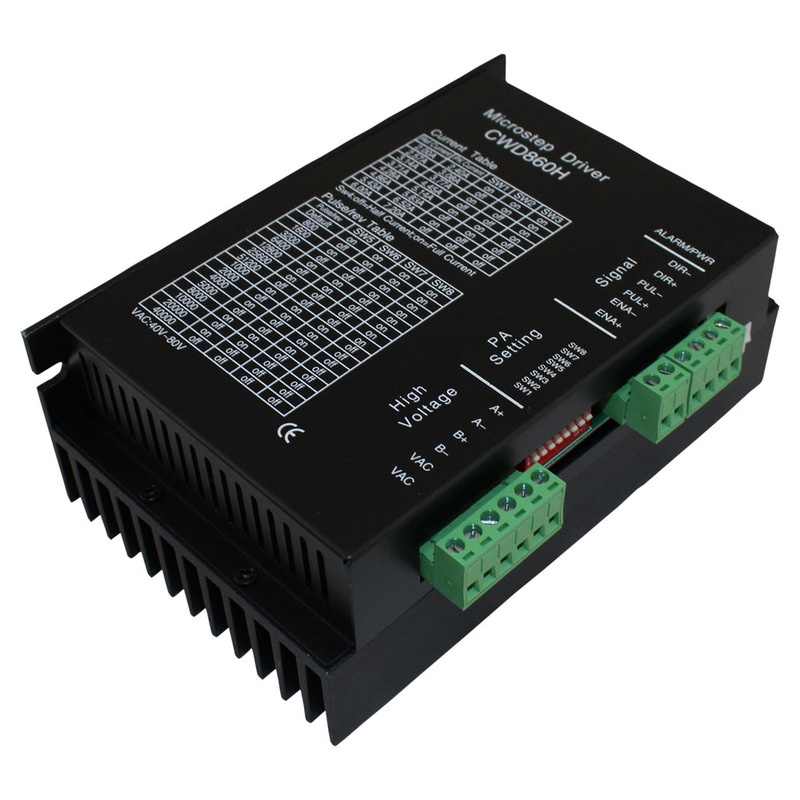 This driver has excellent high speed torque, it automatically reduces the current output when the motor is stopped which reduces the heat of the motor driver. 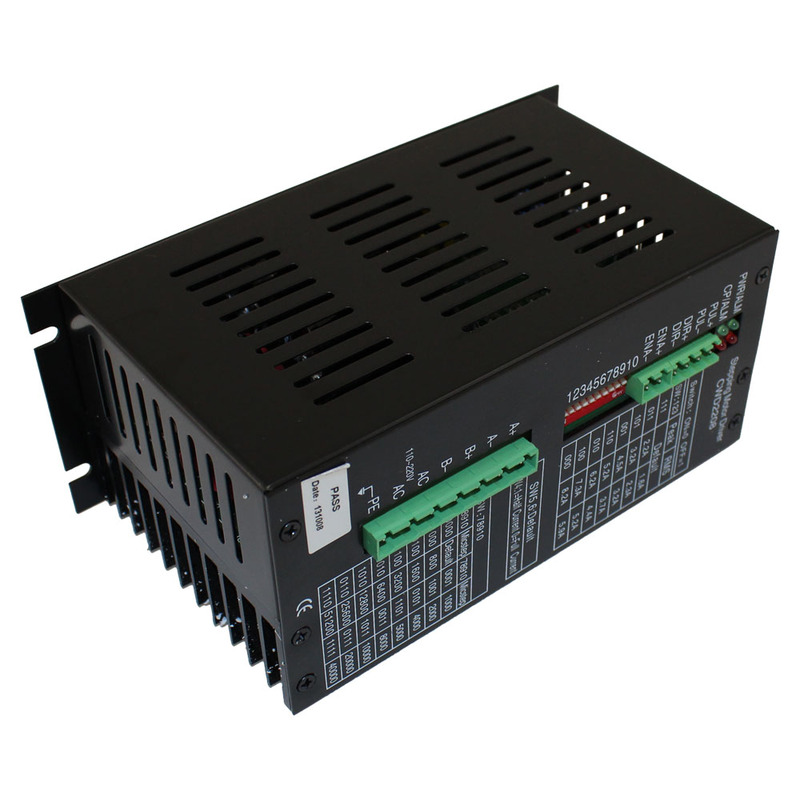 Contains self-test, over voltage, and over current protection. 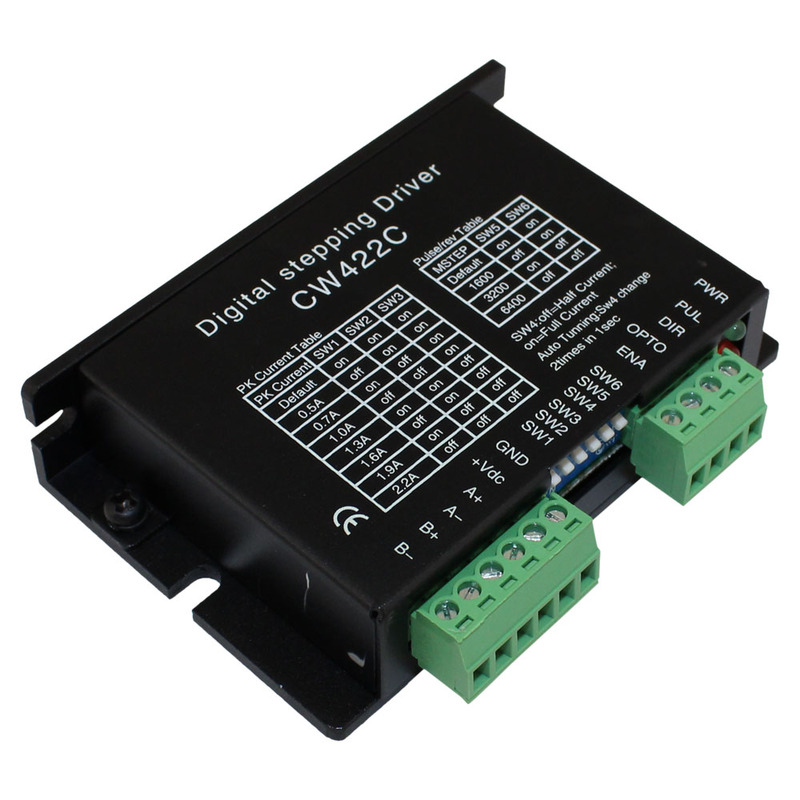 The driver is suitable for a variety of small-scale automation equipment and instrument applications, such as cutting machines, packaging machines, labeling machines, plotters, engraving machines, and CNC machine tools to name a few. 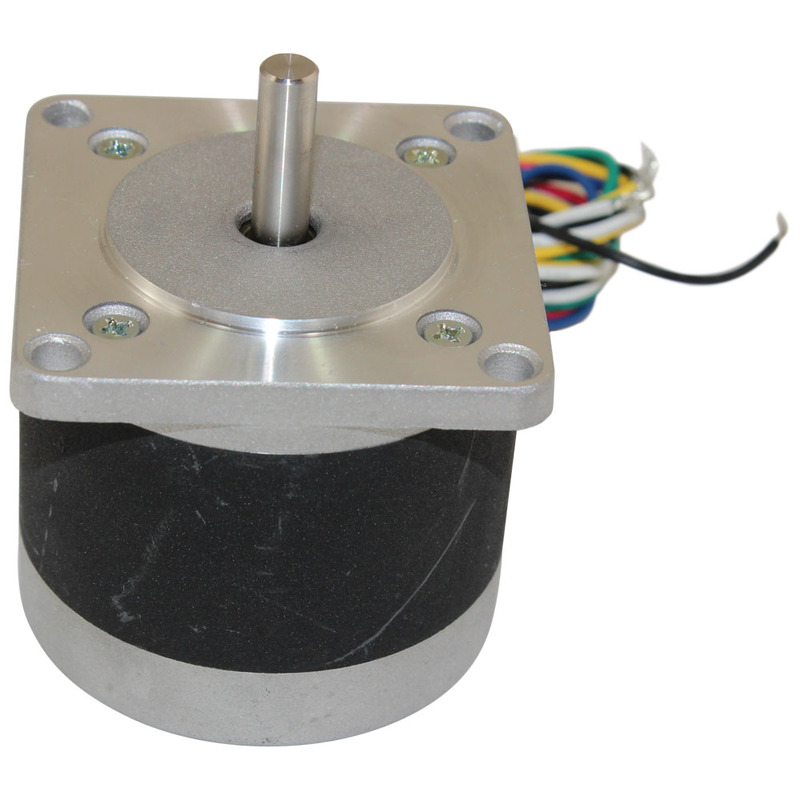 It always performs well when used on equipment that requires for low-vibration, low-noise, high-precision and high-velocity. 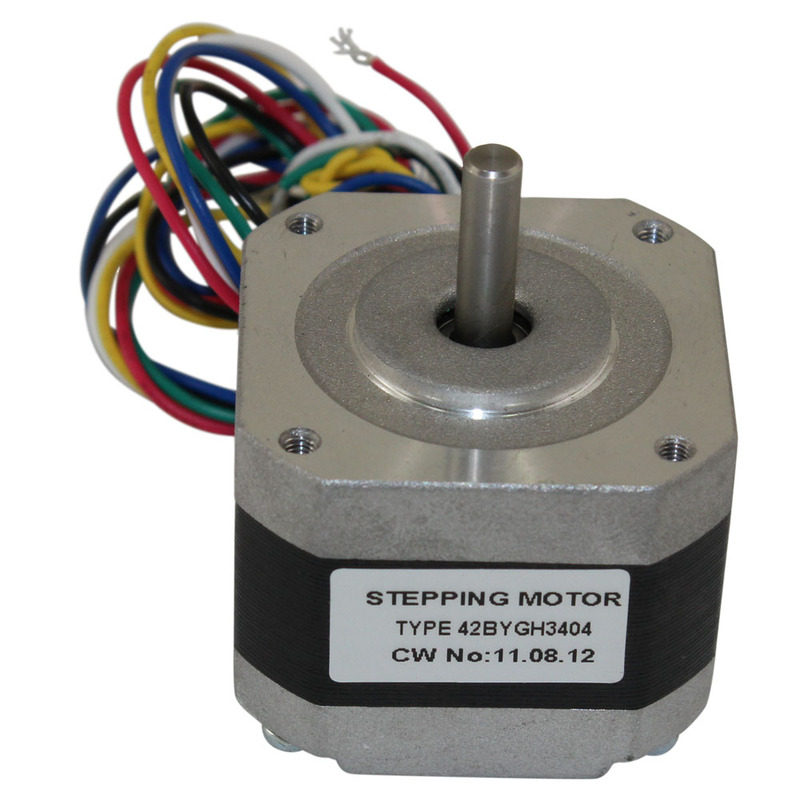 Dimensioned drawing of the CW230 stepper motor driver. 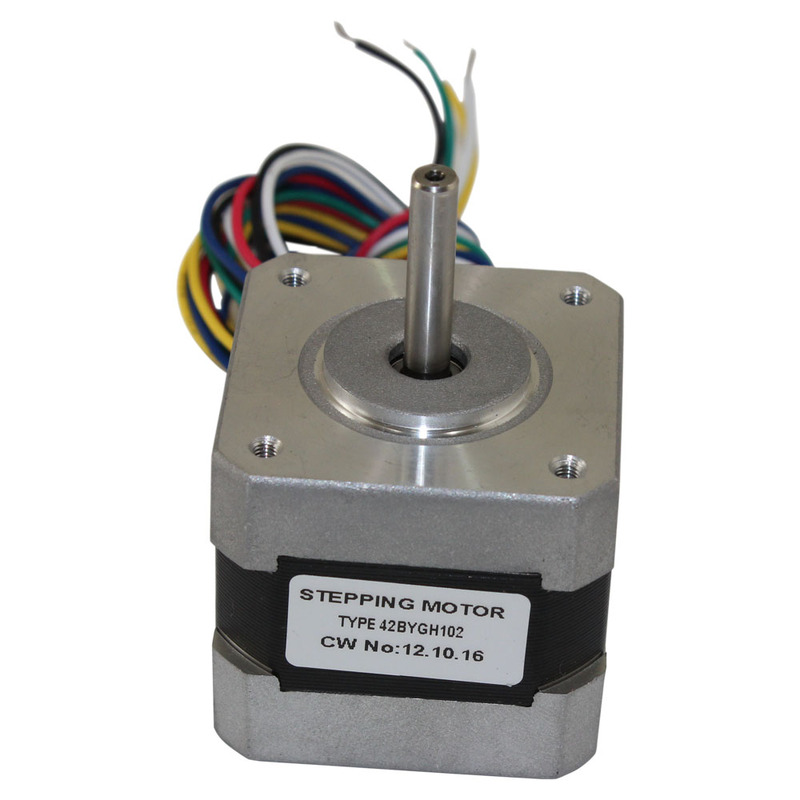 Electrical specifications of the CW230 stepper motor driver. 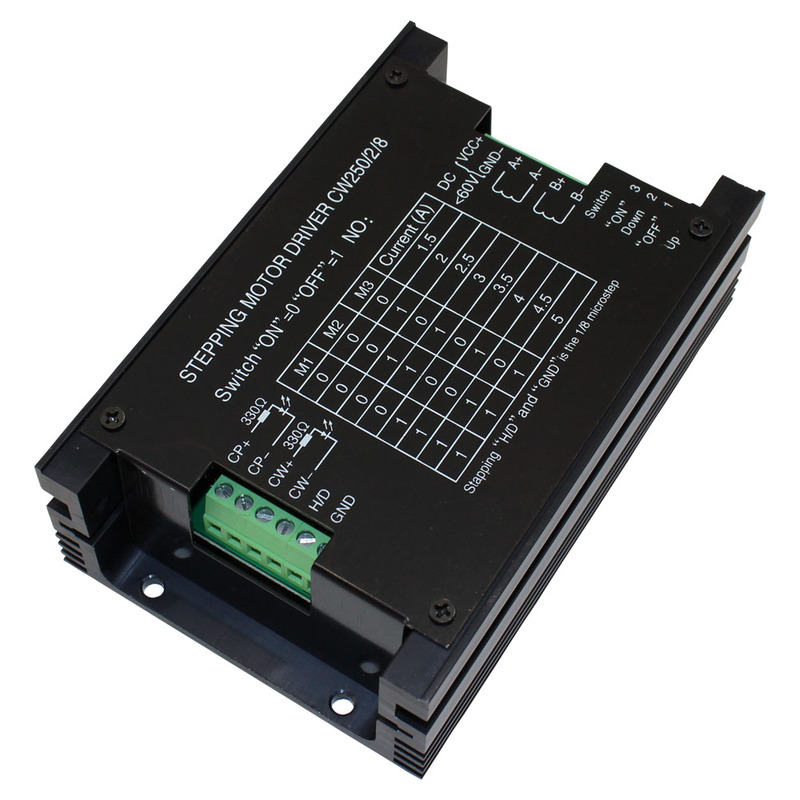 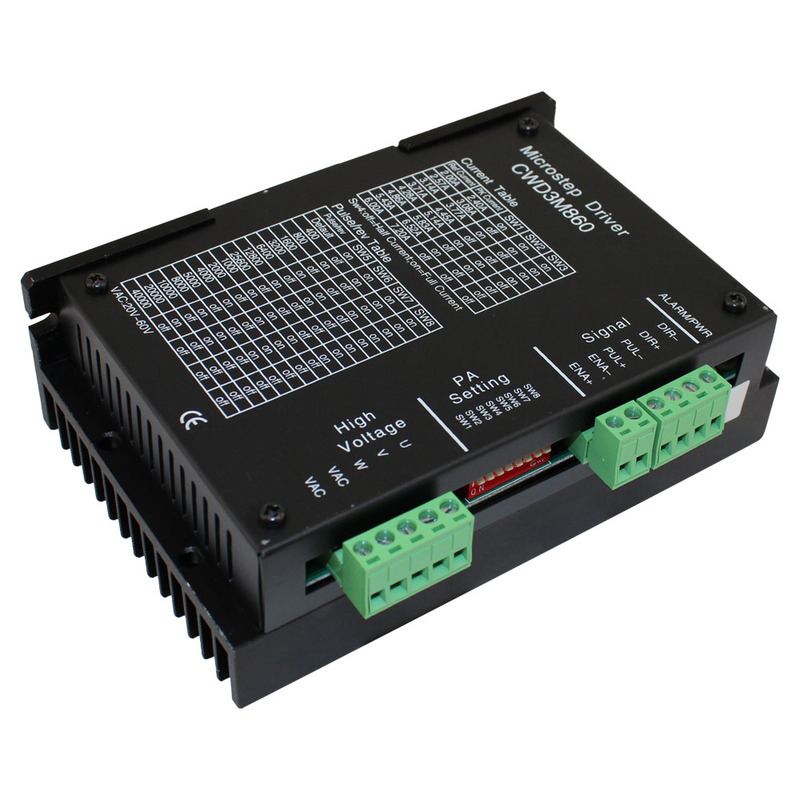 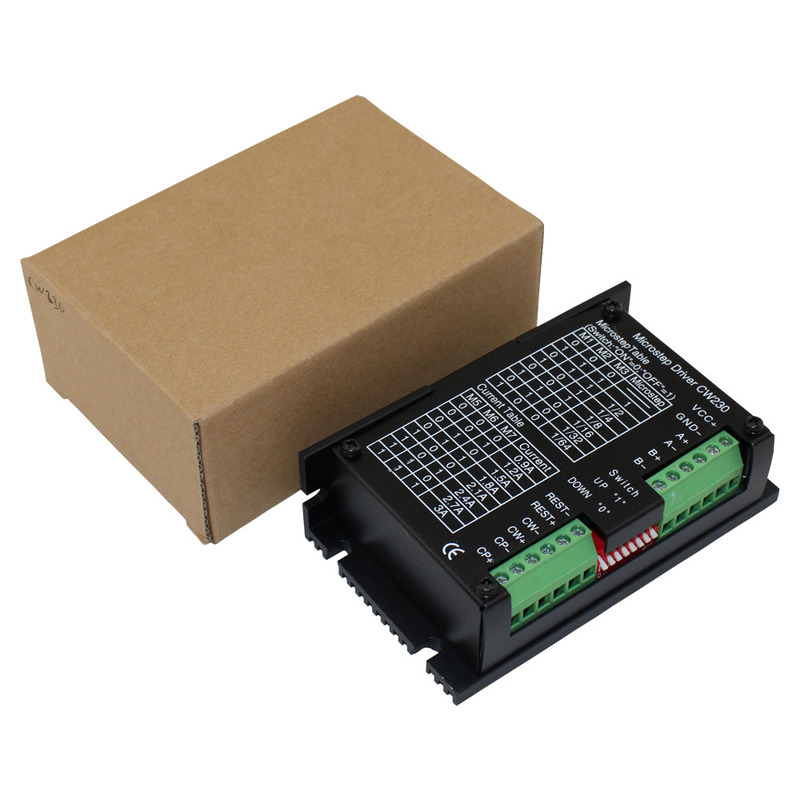 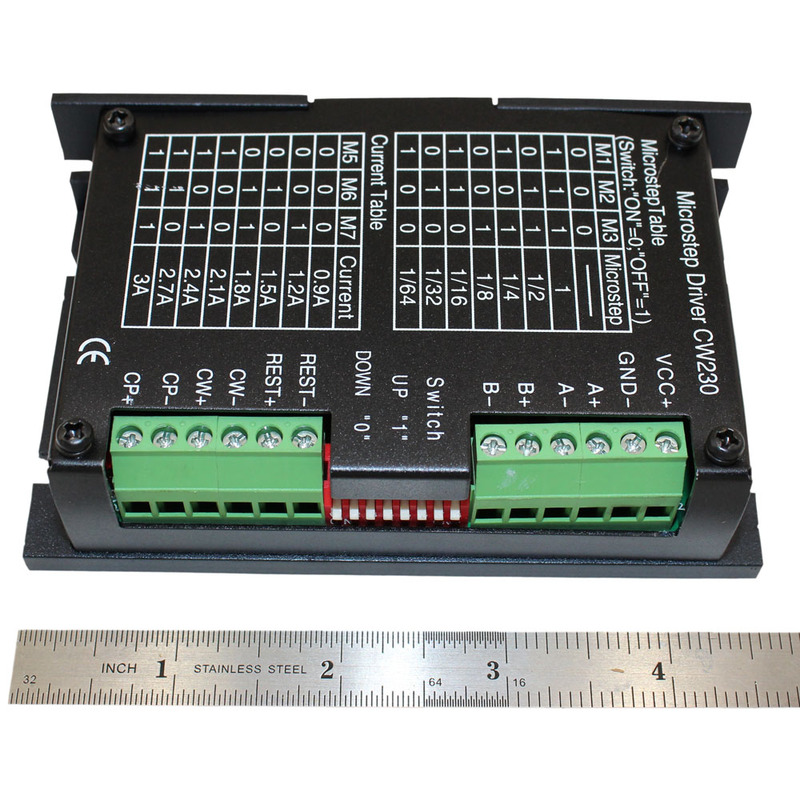 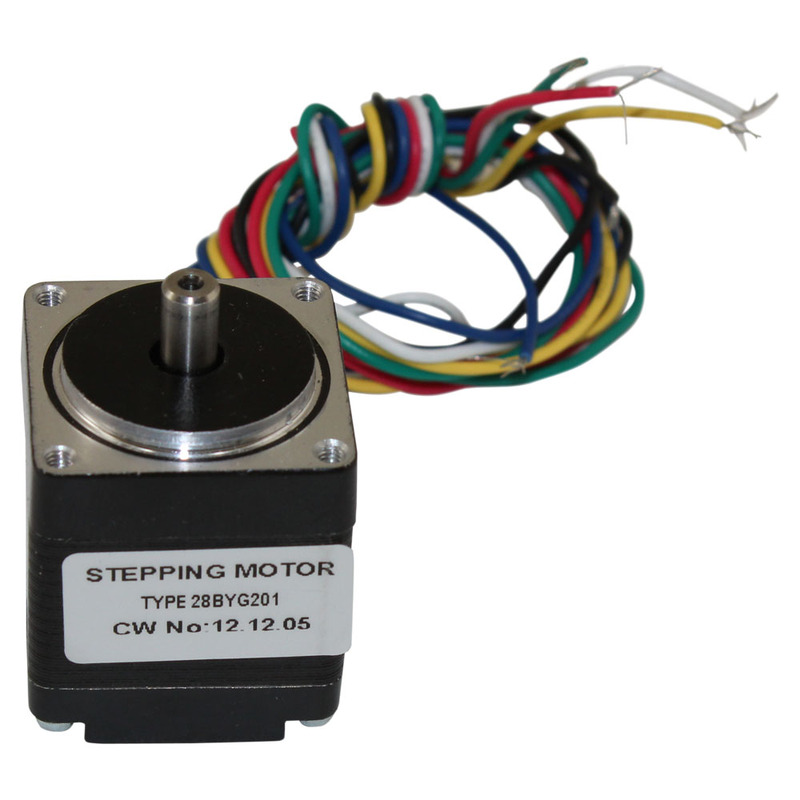 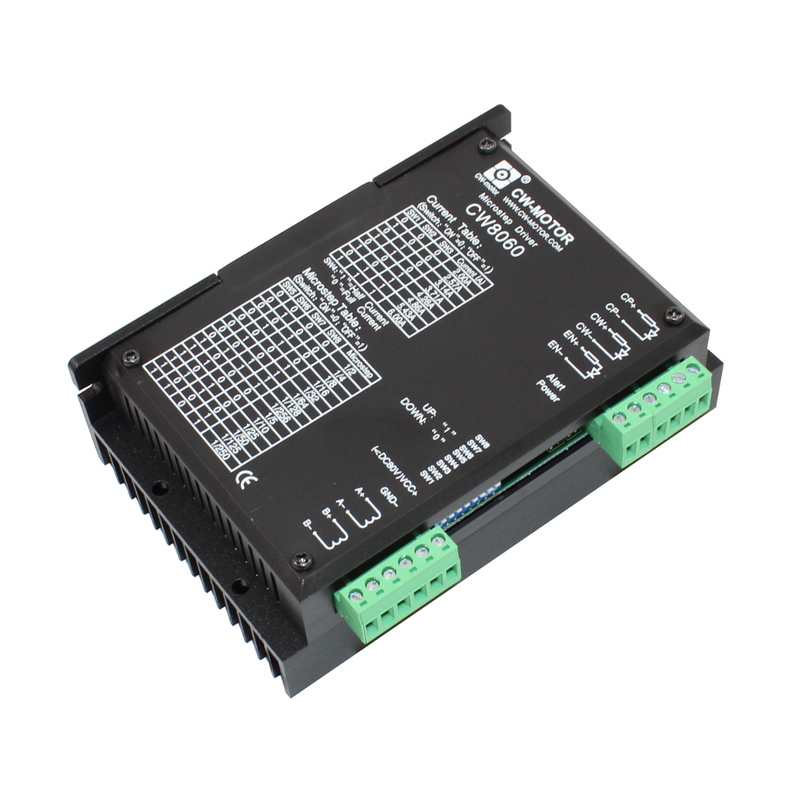 For more information, refer to the CW230 Stepper Motor Driver Owner's Manual. 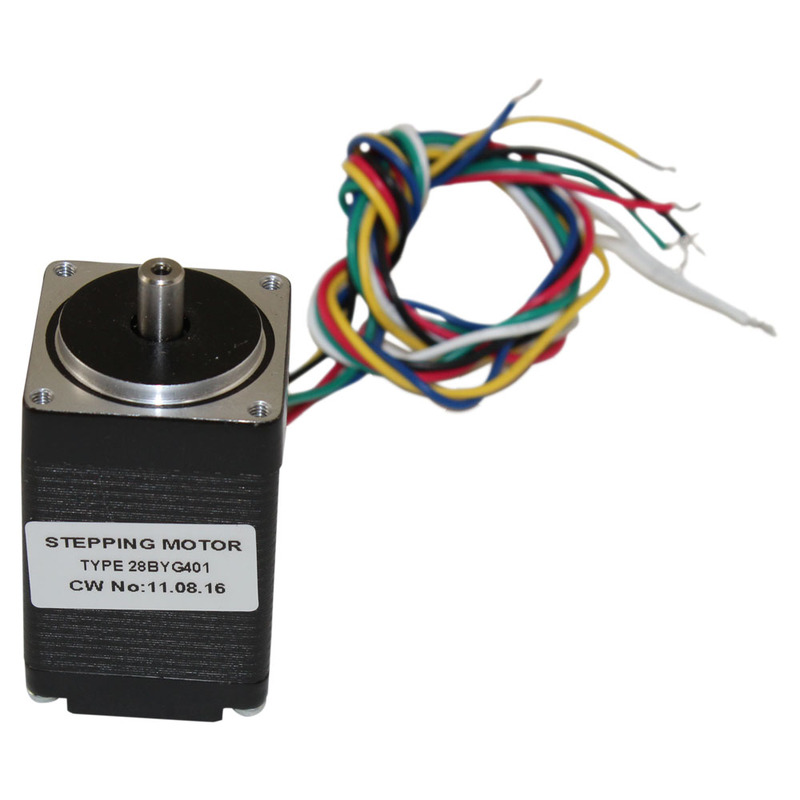 For assistance selecting a stepper motor, refer to our CSI Blog unipolar and bipolar stepper motor guide. 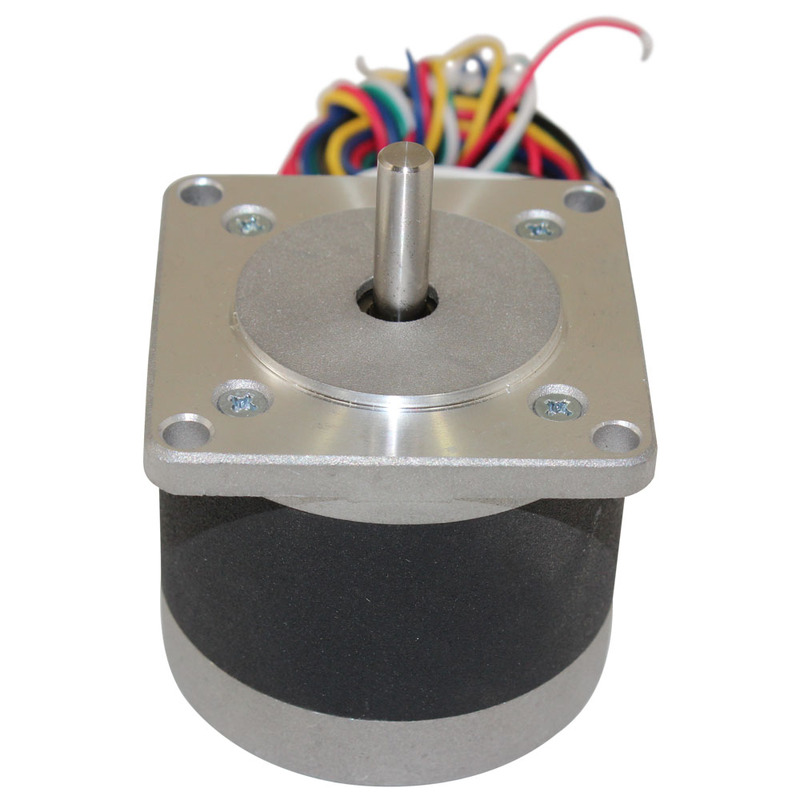 For more advanced stepper motor use try this CSI Blog post about wireless stepper motor control.